NOTE: Save $15 if you sign up for this combined course! DO YOU HANDLE, MANAGE OR STORE HAZARDOUS WASTE AT YOUR SITE? If you generate, store, manage or handle hazardous waste at your job site then offer it for transportation then you and your employees must undergo Resource Conservation and Recovery Act (RCRA) and DOT hazmat certification training. By completing this DOT RCRA hazmat course, you’ll satisfy the Environmental Protection Agency’s and Department of Transportation’s requirement for mandatory initial certification and recertification. DO YOU FILL OUT OR SIGN HAZARDOUS WASTE MANIFESTS? People who are new to working with or near hazardous waste often think they’re immune from required training if their role is limited to signing manifests. While that’s a common belief, it isn’t accurate. Hazmat professionals who are responsible for signing off on manifests still need to complete the requisite training. Luckily, Hazmat School offers online training for hazardous waste manifests. When you complete this online DOT RCRA hazmat manifest course, you’ll earn a certification that’s instantly accessible and printable. DO YOU OFFER THE WASTE FOR TRANSPORTATION AND SIGN OFF ON THE HAZARDOUS WASTE MANIFEST? If the hazardous waste at your location is offered for transport, this online DOT RCRA hazardous waste training course is mandatory for you and your employees. Since this course is offered online, you can complete your training any time of day or night. You can start your coursework now and finish later because your course will be available for 60 days. If you don’t finish your course and pass the exam within that timeframe, you’ll need to re-enroll in this affordable, information-laden training course. Throughout your training, you’ll be able to reach out to fully trained, knowledgeable instructors to ask questions about your coursework. Unlike many of our competitors, we ensure our helpful instructors are on call and ready to provide assistance 24/7, including weekends. If you sign hazardous waste manifests, offer hazmat for transportation or generate, store, manage or handle hazardous waste at your business . . .
THEN THIS ONLINE RCRA TRAINING COURSE IS FOR YOU! Our online DOT/RCRA combined course provides training and certification as a handler of hazardous waste for large or small quantities of hazardous waste as well as a DOT Hazmat Employee. If you are someone who has hazardous waste onsite and offer the waste for transportation (including signing off on a manifest) it is required that you have both your DOT and RCRA Certifications to comply with the US EPA regulations. Hazardous waste can pose a serious threat if handled improperly. It can harm the surrounding community and environment, threatening wildlife, natural resources, and even humans. For these reasons, it is crucial that those who come in contact with hazardous waste follow strict hazardous waste management guidelines. This RCRA/DOT training course will give you the certification to do so, and it also satisfies your refresher requirements. After this online RCRA training course, you will be equipped with everything you need to know in order to comply with the complex RCRA hazardous waste rules and emergency procedures. This will keep employees safe and prevent costly fines and liability. As of July 2016, the US EPA requires annual training for all facility personnel who encounter hazardous waste. If you’re thinking about seeking a job with an employer that generates, manages, stores or handles hazardous waste, you may be surprised by the number of industries that require RCRA hazmat certification training. Many products people use often then disgard of are considered hazardous waste, so it’s no wonder that training like this course is required in such a wide array of verticals. The petroleum industry is an example of a vertical that requires DOT RCRA certification for generating and transporting hazardous waste. The medical supply, automotive, beauty, HVAC supply, recycling and electronics industries are additional examples of verticals that require employers and employees to complete training courses and pass an exam every year (some states may have different requirements). 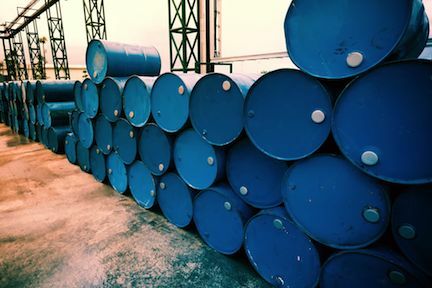 If the industry you’re in requires you to earn a DOT RCRA certification for transporting hazardous waste, we invite you to sign up for this course. If your employees need to earn their certifications as well, set up a corporate or group account so you can benefit from a discount of up to 20 percent. Government employees are also eligible for a discount on our already affordable courses. For assistance with registering for this course or setting up an account, get in touch with Hazmat School today. Understand the background and need for hazardous waste regulations as per the Resource Conservation and Recovery Act (RCRA). Define generation of hazardous waste. Define the terms generator and co-generator. List the three classes of generators and know what episodic generator means. Understand how waste accumulation works including waste accumulation sites and satellite accumulation sites. Identify safety considerations when accumulating hazardous waste. Understand the basic toxicology and terminology relating to hazardous waste. Understand the importance of proper record keeping and reporting requirements for generators. Recognize a Uniform Hazardous Waste Manifest and what information is required. Be able to accurately fill out a Uniform Hazardous Waste Manifest. Discuss new regulations regarding universal hazardous waste. Understand the need for proper training and emergency response. Understand the differences between federal hazardous waste regulations and state hazardous waste agency regulations. Know the state hazardous waste agency for student’s state of residency. Meet the requirements of 40 CFR 262.34 (d)(5)(C)(iii) for certification as a hazardous waste handler. Met the requirements of 49 CFR, Part 172.704 for certification in hazardous materials handling and transportation. Reviewed the requirements of the DOT regulations relative to the transportation of hazardous materials. Reviewed the basic safety elements including recognition and identification of hazardous materials as required by the DOT regulations and the Hazard Communication Standard. Reviewed the basic operations required for handling emergencies involving hazardous materials for the DOT Hazmat Employee. Demonstrated some basic functions required for a DOT Hazmat Employee including basic knowledge of the Hazardous Materials Table (49 CFR 172.101), Labels and Placards, and Shipping Papers including hazardous waste manifests. Reviewed the nine DOT hazard classes and associated them with the appropriate placards for use in transportation. An awareness of security risks associated with hazardous materials transportation (HM-232). An awareness of methods designed to enhance transportation security. An awareness of how to recognize and respond to possible security threats. Students will have to go through all modules in order to unlock the final exam at the end of the course. You will need a computer or iPad with Internet access and an email account. No text is required; all RCRA/DOT training course materials are available online. The course will take approximately 8 hours to complete but you can come and go as you need. The online RCRA training course is designed to be self-paced. You will have 60 days to complete it and can come and go as you need. After one month, you will need to re-enroll. Upon successful completion of the course you will receive a pdf certificate right away. If your job requires you to handle or manage hazardous waste, it is required that you take this course to comply with US EPA regulations. After completion of this RCRA/DOT training course, you can feel confident that you have the complete knowledge and capability to handle hazardous waste in any situation. Serving more than 20,000 students year after year, our qualified instructors work hard to provide online learning experiences that students will not find anywhere else. Upon course completion, students will have a full grasp on the material and be able to apply their newfound knowledge to real world situations. Hazmat School’s online training solutions have been uniquely developed to help build a comprehensive safety culture while satisfying your organization’s compliance goals at the best value. To enroll in your next online RCRA training course or to learn more detailed information, give us a call at 877-OSHA-NOW (674-2669). You can also send us an online message regarding your questions or comments.